"It's interesting." 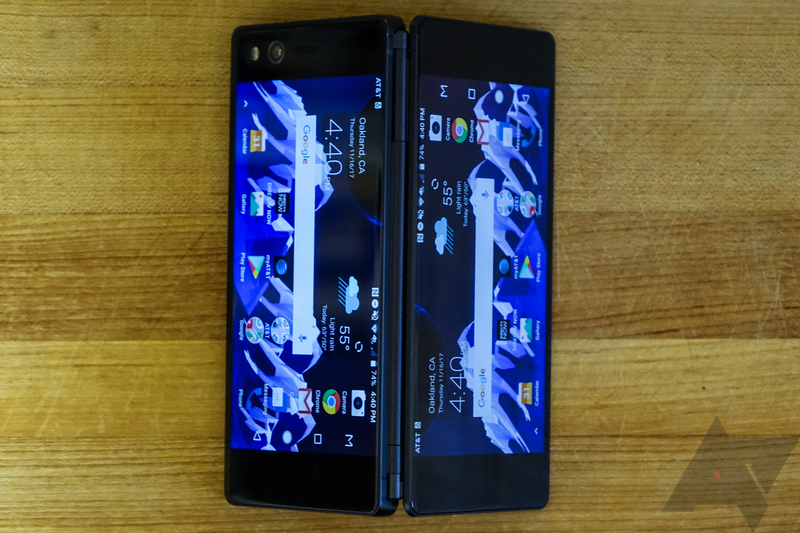 That's what I heard most often when I would show someone ZTE's bizarre dual-screen phone. And, inevitably, "Who's it for?" I never came up with a good answer. The Axon M is unlike any other smartphone on the market. Some people have made a point of likening it to the long-deceased Kyocera Echo, and while it is similar to that phone, the concept has evolved a fair bit. The Axon M is more mature, more considered, and more thoughtful - ZTE clearly spent time thinking about how a dual-screen phone would work, and how to minimize some of (though definitely not all) the pain points it would present. After using it - or really, attempting to - I quickly came to the conclusion that I couldn't review this phone in a way that wouldn't just seem... mean. It's too weird, too cumbersome, and too compromised. It's more of a concept come to life than commercial product, which is very intriguing to my geeky side, but also deeply uninteresting to me as a product reviewer. 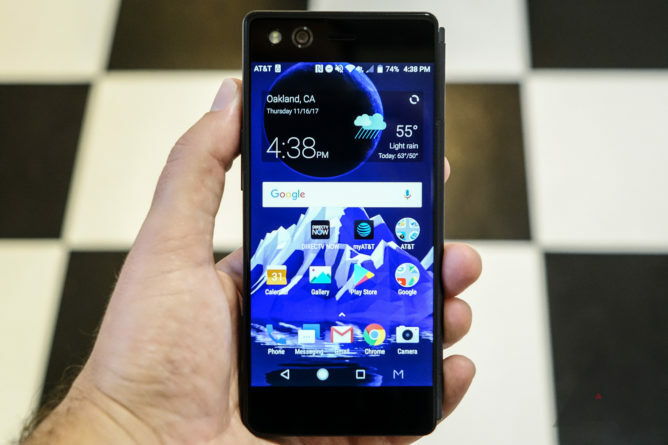 The Axon M is positively loathsome to use compared to a modern, high-end smartphone. You'd have to be borderline masochistic to own one. I am sure that someone somewhere out there will find a reason, and I look forward to understanding the rather twisted logic such a purchase would demand. The Axon M is a phone that you will never buy for precisely the same reason you'd want to read about it: because it is so different. ZTE says the "M" in Axon M is for multitasking. That may well be, but the sense I've come away with is that a folding, dual-screen phone is useful for multitasking like a car that is also a boat is useful for fishing. Yes, there are [alleged] benefits. But it remains quite unclear, in light of the compromises the concept requires, if it should actually exist outside a product engineer's fever dream. But here we are. Maybe you can watch a video and text at the same time (except YouTube picture in picture kind of already lets you). Or perhaps there are some good in-vehicle applications that I'm not thinking of. And I'm sure you, dear reader, can come up with ways to take advantage of the Axon M's unique capabilities. But that's kind of the problem, isn't it? 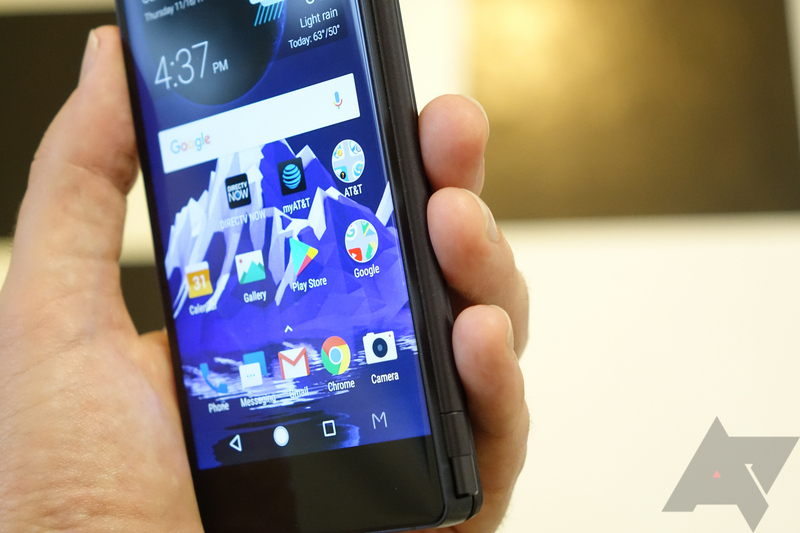 The Axon M doesn't solve some longstanding problem with existing smartphones. There's never that "Oh, I get it now" moment. At best, the Axon M's dual screen is something you'll have to actively remind yourself to use. So, maybe "why" is the wrong question. The whole "multitasking" angle leads down a frustratingly short path - yes, you can do two things at once - but there's nothing terribly novel about that in the larger scheme of computing, and the compromises the phone has to make in order to achieve this are absolutely maddening. The better question, I think, is "Why not?" The Axon M is heavy. It is very thick (to an extent that makes it difficult to handle). It has display glass to scratch or shatter on both sides. There's only one camera, and the not very good fingerprint scanner is mounted on the power key (though, I guess it didn't have to be). Typing on the phone is essentially impossible while you have it in multitasking mode because the keyboard only appears on one display panel. Holding it even when it's folded up is awkward because of the huge hinge running down the right edge. 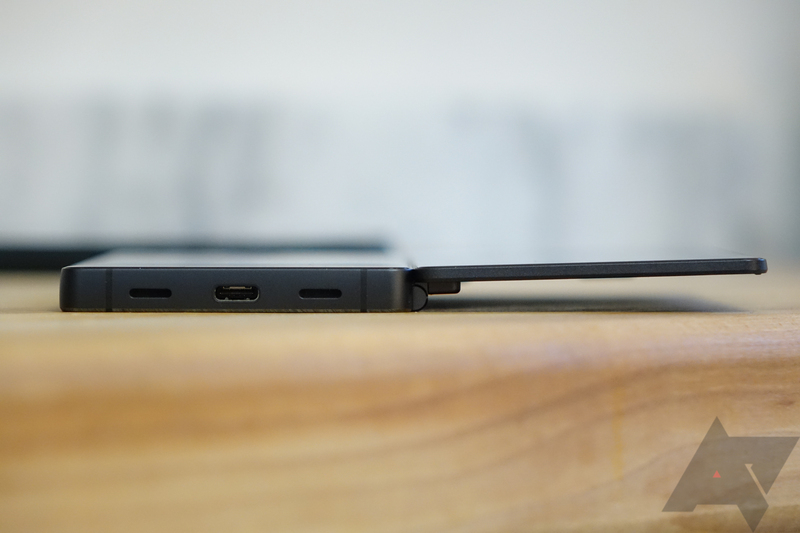 Even holding the phone is awkward thanks to the rounded hinge on the right edge. 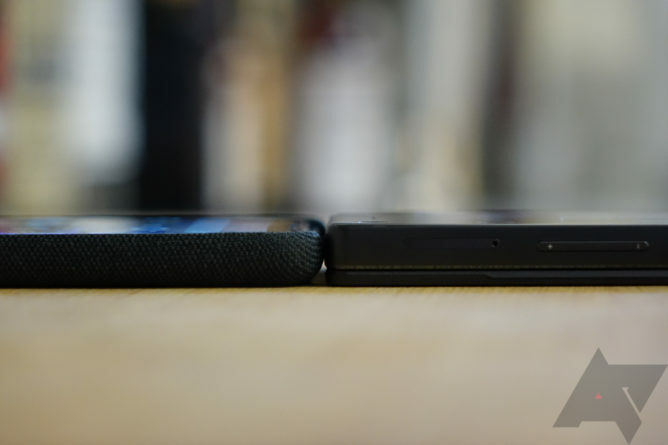 As you might expect, the battery drains way faster when you're using both screens, because screens use a lot of power. ZTE says the hinge mechanism is good for around 20,000 opens and closes before you risk damaging the ribbon cable connecting the displays. There are also issues that are only really noticeable when you actually start using the phone. The Axon M is nearly half an inch thick and weighs 35 grams more than a Galaxy Note8. That's a hefty phone. For example, when you take the Axon M out of your pocket, it's almost impossible to figure out by feel whether you've got the front of the phone, the back of the phone, or if it's facing right side up. Because of this, the number of times I've tried to unlock the phone only to see what I thought was the "rear" display was illuminating is actually embarrassing. I regularly feel dumb just trying to turn on this phone. Using the keyboard with the phone unfolded is nearly impossible unless you one-hand everything, which takes ages. Even using the camera is a bit of an undertaking. Because the Axon M only has one camera - and it's front-facing - that means using it in rear-facing mode requires a couple of steps, unless you quick launch it. If you're using the phone and launch the camera app from the primary touchscreen, the viewfinder will appear for a moment, then notify you that the camera is entering rear-facing mode. At this point, you flip the phone over and use the secondary display as your viewfinder. This makes sense, it's just a little time-consuming. Thankfully, there's a dedicated quick launch button on the side, which you can double-tap to start the camera, and avoid this issue. Once the camera is launched, you shoot your pictures as normal (aside from the fact that switching between front and rear-facing modes requires flipping your phone over). Let's say you want to get back to using your phone, though, and you exit the camera app from the rear screen. This then causes the front screen to immediately reactivate - the front screen your fingers are holding onto as you go to flip the phone back over in your hands. This will almost invariably cause you to accidentally launch an app or move one of your homescreen icons. Nice. Oh, and let's talk about the flashlight. This is one of my favorites. Because the camera and its accompanying flash are on the front of the phone, ZTE realized that the likelihood you'll accidentally blind yourself with it is non-zero, and so every time you go to turn on the flashlight, a warning dialogue appears beforehand to let you know not to stare at it because duh. Of course, you're probably still going to end up getting an eyeful because you kind of have to be looking at the screen to see where to press "OK" on this dialogue to actually, you know, turn on the flashlight. As you might have gathered, the Axon M is just not all that great at being a $700 smartphone. And the reasons it's not great at it almost invariably come back to the design decisions ZTE made in order to give it two displays, the benefits of which tend to be murky at best. 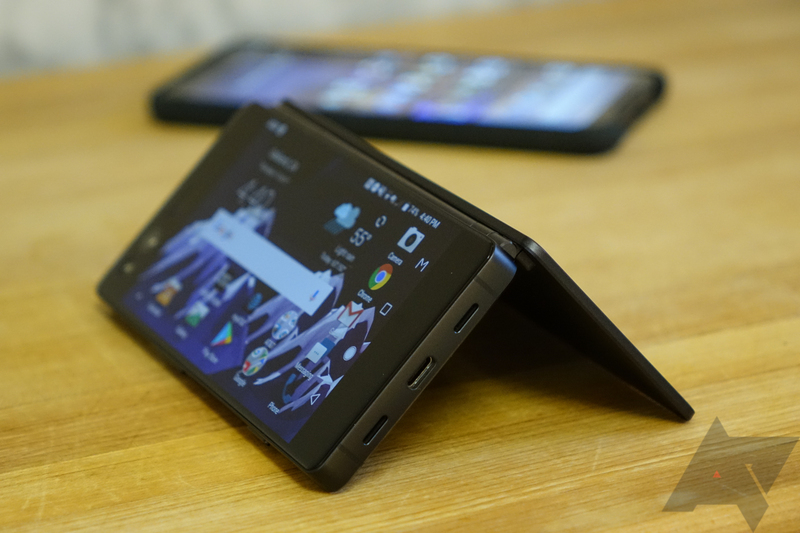 For all the flak I'm giving this phone, I do want to give ZTE credit where it's due: the Axon M is, for a folding screen phone, surprisingly well executed in some ways. While I have had the UI freak out occasionally when opening or closing the dual screens, it's never flat-out failed on me, and apps run next to each other without issue. Performance is also generally pretty good, if not amazing. You can watch a YouTube video on one screen and search for a restaurant in Google Maps on the other and the whole thing doesn't come crashing down. ZTE has clearly worked hard to make sure the software experience doesn't make you want to tear your hair out (even if the hardware does). 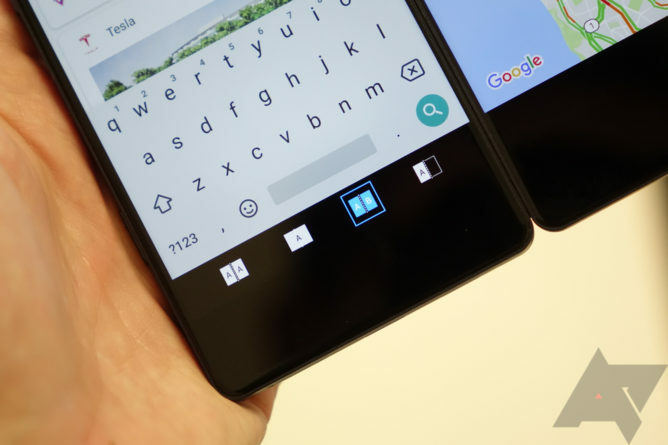 One of the Axon M's many "quirks" - the screens aren't even level with each other. The mode switcher button on the navbar is easy and intuitive to use. 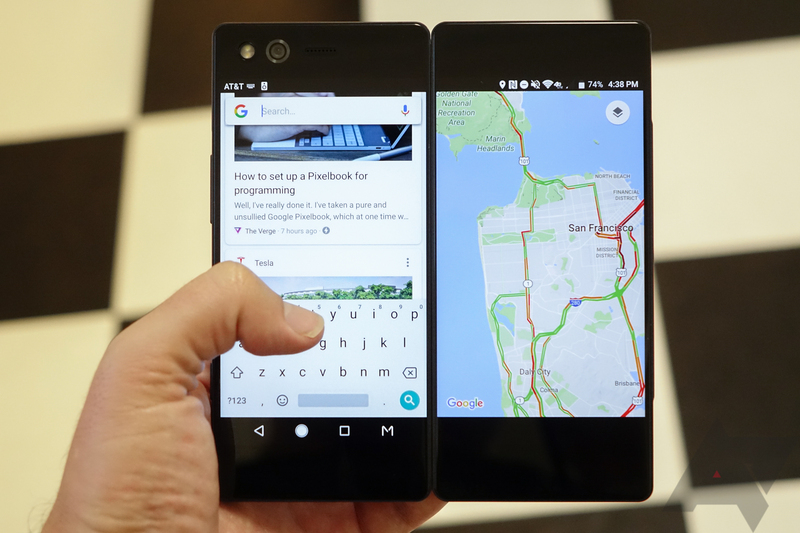 You can have the phone in A/B mode (multitasking mode), mirrored mode, or stretched mode. They all work. The hinge mechanism feels robust, and while my power key is slightly sunken in and my secondary display sits a few degrees above perfectly level compared to the primary one (i.e., it's slightly taco-phone), the Axon M does feel pretty well put together. This does not change the fact that it is, for all intents and purposes, a bad phone. But it's an admirably weird one, too.